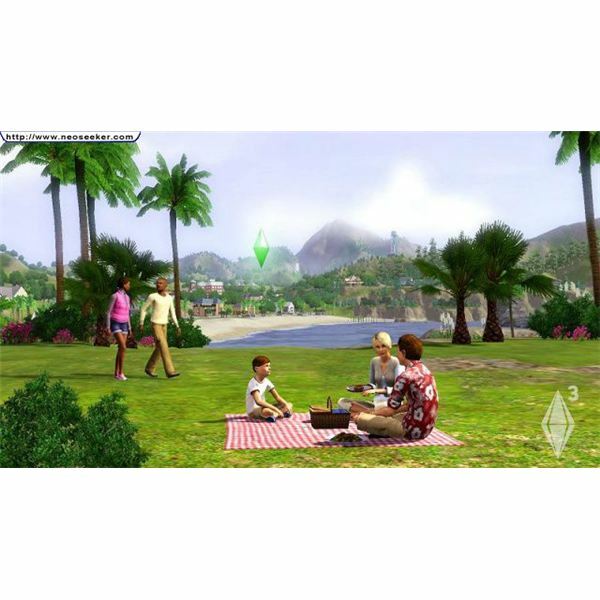 The Sims 3 was recently released and it is predictably gathering a huge community. The Sims 3 offers players most of the things they loved about The Sims 2 with several new and exciting features. The creators of The Sims 3 are wasting no time with expansion packs either. The very first expansion pack, World Adventures, is set to be released on November 16, 2009. In The Sims 2, the neighborhoods were not seamless. Players only had the choice to play one house at a time and could not interact with their neighbors or neighborhood. 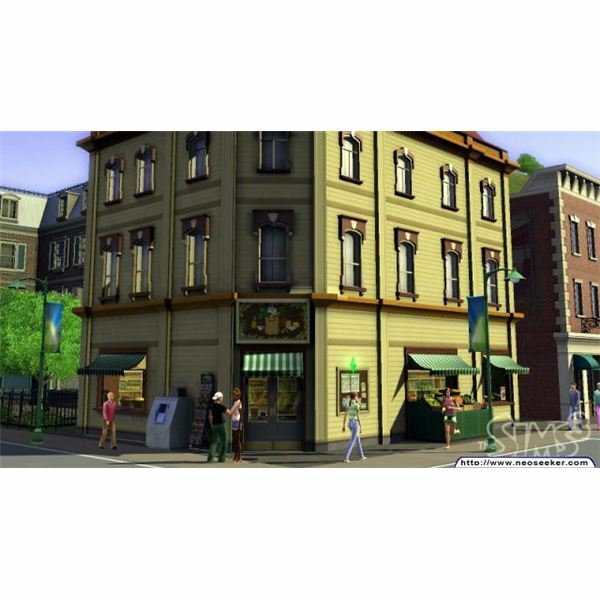 The Sims 3 eliminates this because the neighborhoods are now one continuous map so Sims are free to roam the neighborhood. 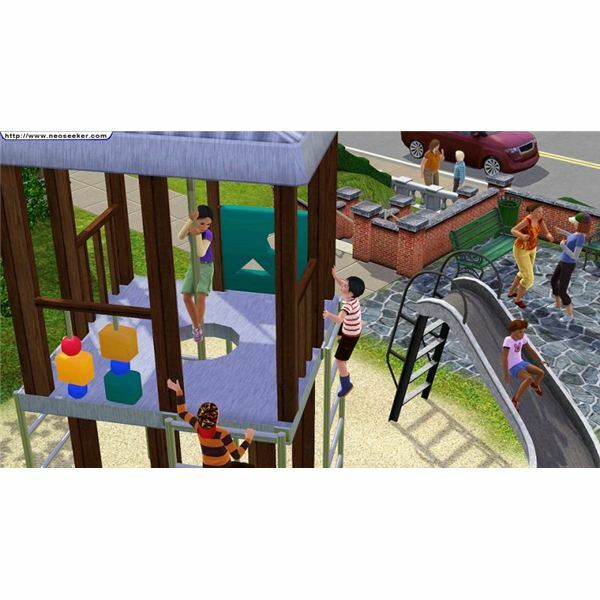 This exciting new feature also allows Sims to interact with their neighbors, go for a walk, have neighborhood barbecues, and of course stir up some neighborhood drama. Players can also choose to utilize a feature called Story Progression. With this feature, Sims will continue to live and grow autonomously. Sims are now able to fully explore their neighborhoods. They can go for a walk or jog in the park, head to the gym, do some shopping at the grocery store, visit the police station, head to the theater, stop by the library or browse the art gallery. Players will have limited control over their Sims when they are in these places too. Sims still have their basic needs in The Sims 3, but they now have moodlets too. Moodlets is a new feature in which a Sim’s mood changes (negative or positive) based on things going on in their everyday lives such as relaxing in a comfortable chair, experiencing a physical or emotional event or being satisfied with a good meal. Some moodlets rely on the Sims’ environment or actions and some are time based. If a Sim has a negative hungry moodlet, it will get worse over time, but having them eat a good meal can remove the moodlet and add a positive one that lasts for a certain amount of time. If a Sim has a negative moodlet due to their environment, it will stay for as long as they are in the area, or you redecorate. The Sims 2 had a Wants system, but The Sims 3 does not. This system was replaced with a Wishes system. Every time a Sim fulfills a wish their Lifetime Happiness Score increases. They can use these points to purchase their most desired Lifetime Happiness Rewards. The Sims 3 adds an additional cycle without the Sim having to attend college like in The Sims 2. The young adult life cycle occurs regardless of whether the Sim goes to college. Of course, players can allow their Sims to go from infants to elders before they die, but they can also cause premature death by things such as starvation, electrocution, fire and drowning. The Sims 3 has some exciting careers and now players have more control over their Sims career success. They are able to choose a part-time or full-time jobs as well as let them work overtime and get raises. Sims also need more than just skills to advance their career, such as good relationships with their boss and coworkers. Players now have some control over their Sims when they are at work too. This new feature in the Sims 3 allows Sims to complete tasks to get some rewards. These challenge opportunities pop up randomly and are based on a Sim’s lifestyle, job, skills and relationships. They can receive a variety of rewards such as cash, work bonuses, relationship boosts and pay raises. In The Sims 3, Sims already have access to vehicles. Sims still have needs, but the comfort need is gone, now represented by positive Moodlets (described above) for nice rooms with comfortable furnishings and negative Moodlets for houses in need of fixing. The lighting is so much better too. On sunny days, sunlight filters in through the windows, and at night the lights you and your Sims turn on and off are well done. More than just graphics, Sims can get negative moodlets from insufficient lighting, which makes positioning windows and lamps important decisions. A few things that were in the Sims 2 that are not in the Sims 3 include private school, fears, yoga and meditation, memories, and some NPC’s, such as the Headmaster, the therapist, and exterminator (no cockroaches in The Sims 3). The Sims 3 is about to receive its first expansion, which we preview on the next page. On November 16, 2009, The Sims 3 will be releasing a new expansion pack called World Adventures. 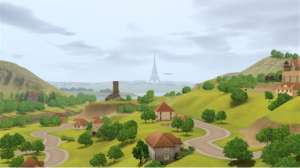 The Sims 3 World Adventures will allow Sims to travel and vacation in real-world destinations such as France, China and Egypt. 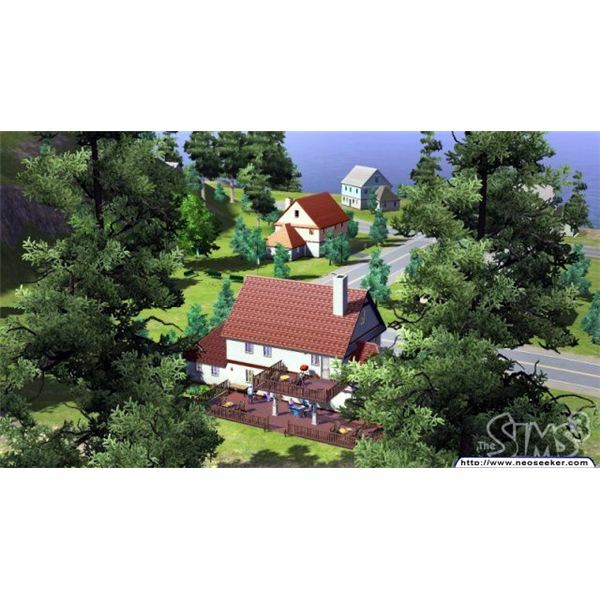 However, they will have “Sim” names, such as Beijing being Shang Simla. This expansion pack will also bring some new opportunities and gameplay options. The Sims 3 World Adventures’ Expansion Pack will allow Sims to explore the globe, exotic city landmarks and much more. When in Shang Simla, China, Sims can master martial arts; when in Al Simhara, Egypt, Sims can explore ancient tombs; when in Champs Les Sims, France, Sims can discover and explore famous landmarks and immerse themselves in rich culture. The Sims 3 World Adventures will allow Sims to take on new challenges to develop new skills, search for secret treasures, meet new and unique Sims, seek more personal opportunities, discover new styles, and learn about new cultures. Once Sims return home from their adventures they can share the photographs with their family, friends and neighbors, and share their new cultural knowlege with them. Sims can share their stories and videos too. This Sims 3 expansion pack has a feature called the Adventure Journal. This Adventure Journal will keep track of the Sim’s achievements and statistics as they progress through their adventures. It will track things such as the amount of relics gathered, a Sims visa points, amount of puzzles solved and all of the places the Sim has visited. The Sims 3 World Adventures expansion pack brings new traits and skills to the game. There are three new traits and each one adds to the three new skills that come with this expansion pack. The China adventure destination brings martial arts. Sims who wish to pursue martial arts can practice on a training dummy (a new item) and as they advance their skills they can choose to compete in China’s special martial arts tournament. Photography is a new skill that comes with this expansion pack. As Sims increase their photography skills they can begin taking photos in new styles such as sepia-tone and panoramic. Sims who have a knack for photography will be able to fill an album collection as they complete a series of challenges. The France adventure destination brings nectar making to The Sims 3. Sims who can produce good nectar will increase their happiness because drinking good nectar provides a "good meal" moodlet. If Sims produce bad nectar those who drink it will experience a decrease in mood and they will spit it out. Once Sims get good at making good nectar they will have the chance to place their bottles of nectar on a rack to age and then they can sell it for money. Sims who have solid gardening skills will do much better in making nectar and may even have a chance at making and selling nectar for a living. All screen shots are from EA’s press kit. Full review of The Sims 3 here.